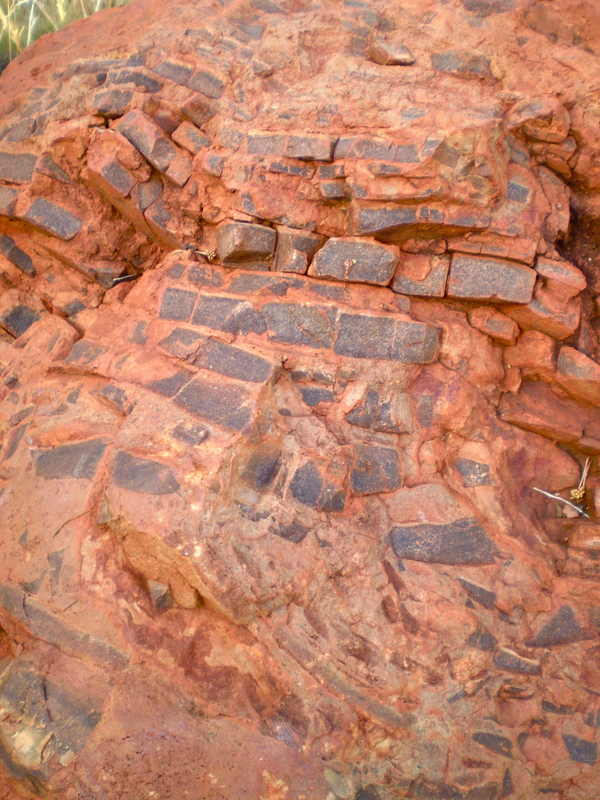 Banded Iron Formation resembling a mosaic. The gradual deposition of sediment and of rock layering record a time during the Archean when there was little oxygen in the atmosphere and the only life forms were bacteria and algae. Banded iron formation rich in iron and silica, while not fully understood, is thought deposited by cyanobacteria (blue-green algae). Some forms of bacteria drew their energy from the earth via thermal activity near volcanoes. 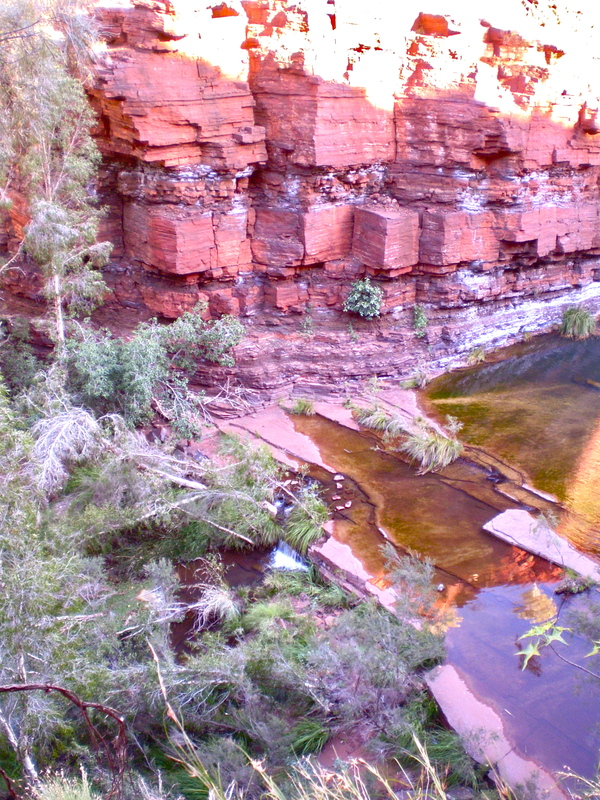 Others like the ones at Hamelin Pool, 3.5 billion years old, drew theirs from sunlight through photosynthesis. Iron derived from volcanic activity survived in the ocean which could have been red-brown colour such as the inland sea known as the Hamersley Basin. The earth’s atmosphere was only thought to be about 1% oxygen and as more oxygen entered the earth’s atmosphere it probably hastened the rusting and sedimentation of the iron laden ocean into this basin for 350 million years. This process and the period of time involved appear to have occurred through an unusually long stable period seen by the formation of up to 100 meter deep horizontal layers of banded iron in parts of the gorges. 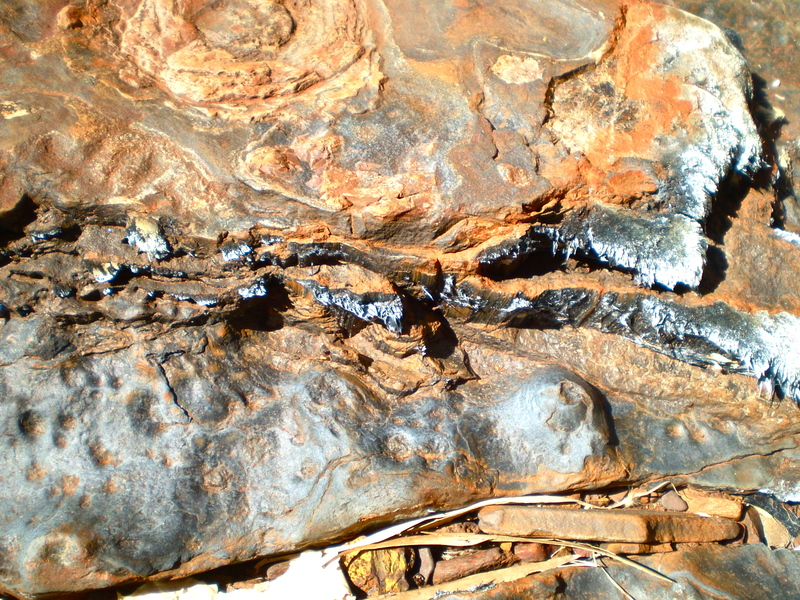 Banded Iron Formation seen in Dales Gorge beside the path at the bottom of the gorge. 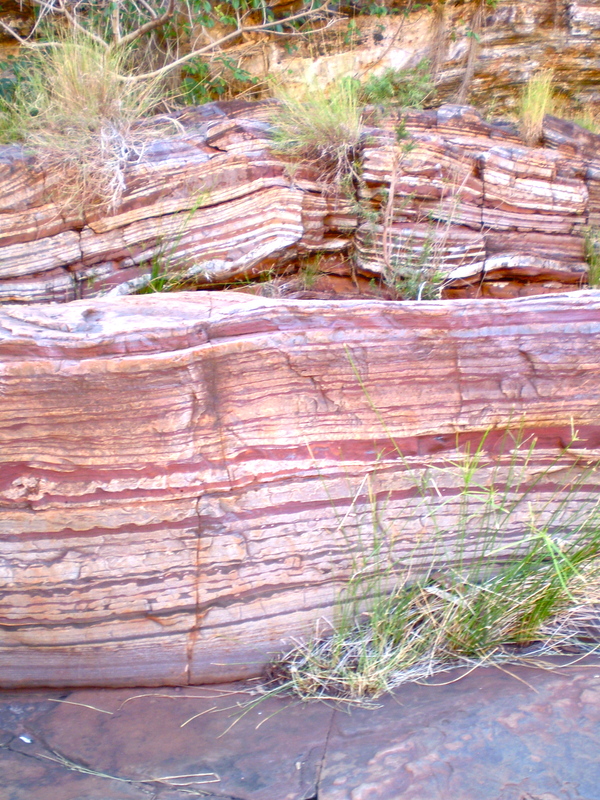 Banded Iron Formation in Dales gorge at the gorge rim. I noticed that the presence of shale where the iron and pink alternate seemed absent from the rock layering toward the rim. However the surface of the gorge walls in the shot below seem to indicate larger alternate layering and deposition of different rock material. 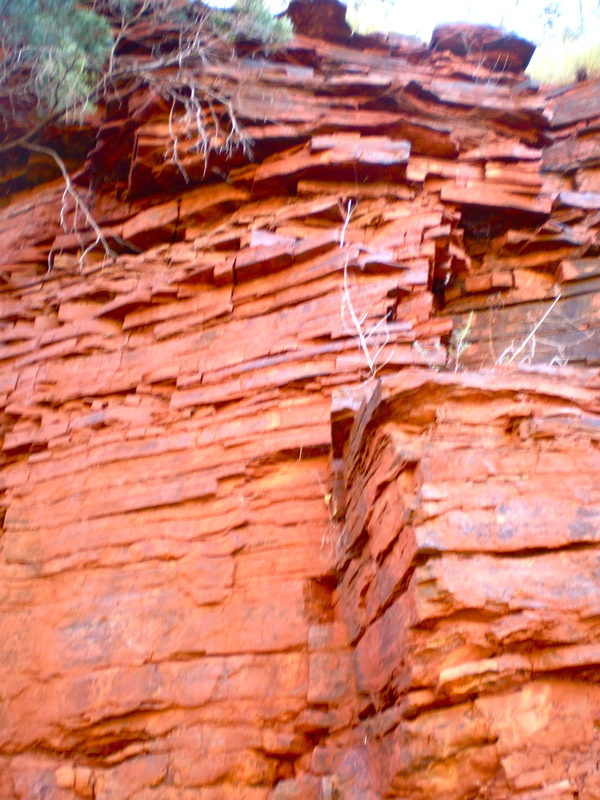 Banded iron gorge walls near Fortescue Falls in Dales Gorge. Categories: Preliminary photographs | Tags: Dales Gorge, geology, rock samples | Permalink.